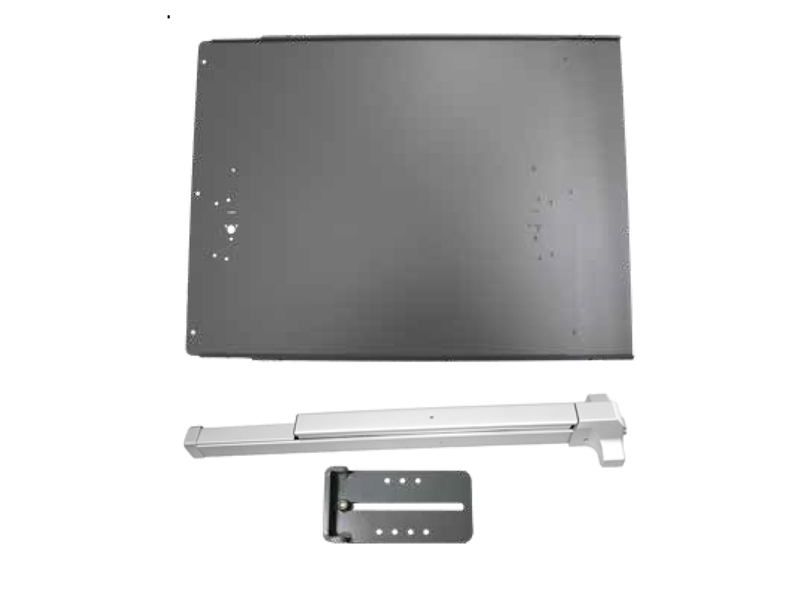 Panic bar shields are used to prevent someone from reaching over or through a door/gate and depressing the panic bar on the inside to open the door/gate. 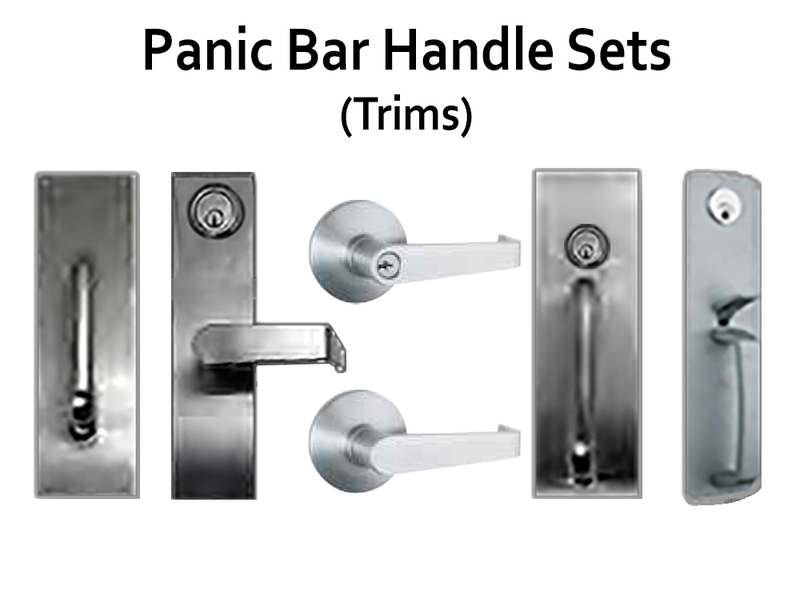 This panic door hardware can be purchased either with or without pre-drilled mounting holes for specific brands of panic bars. 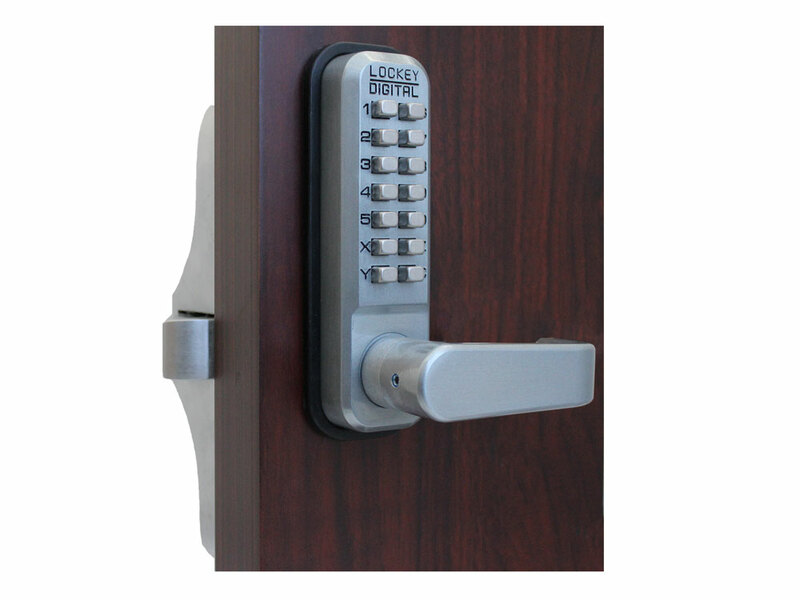 Panic shields are available in a variety of finishes. 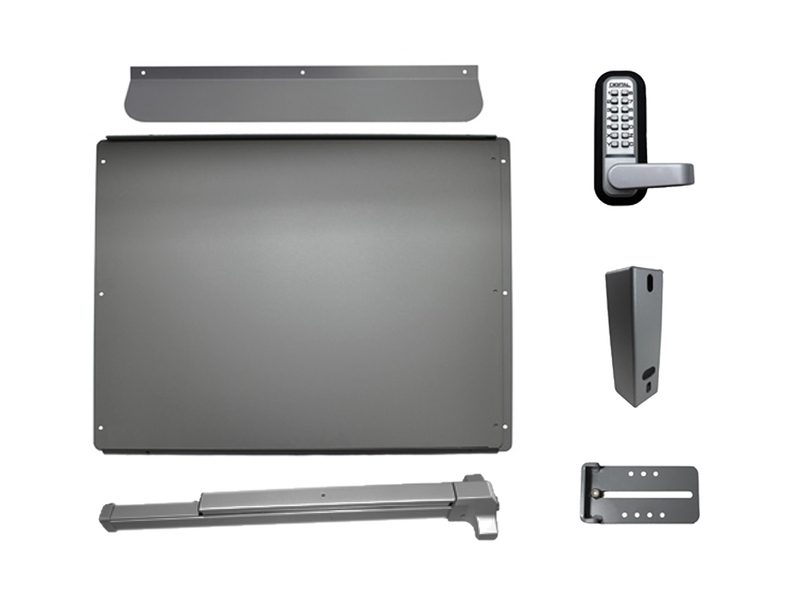 If you need to cover a wider gate, see also the Lockey Panic Shield Extension Plates. 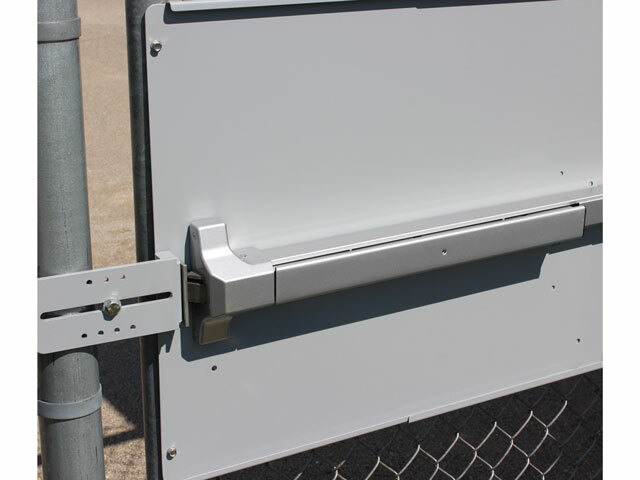 GATE HARDWARE: misc hardware for gates (closers, gate stops, handles, etc.). 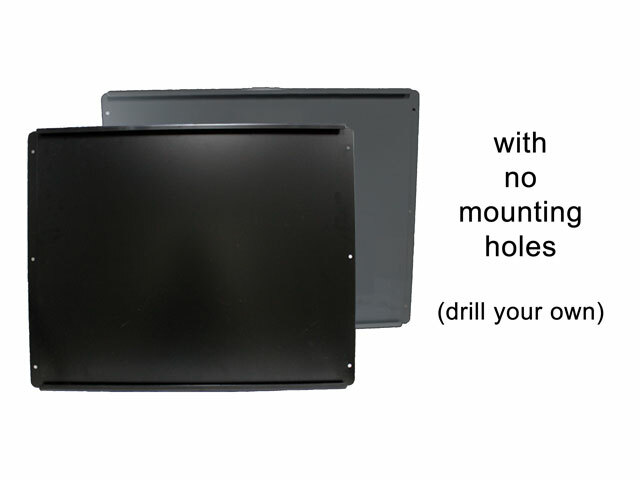 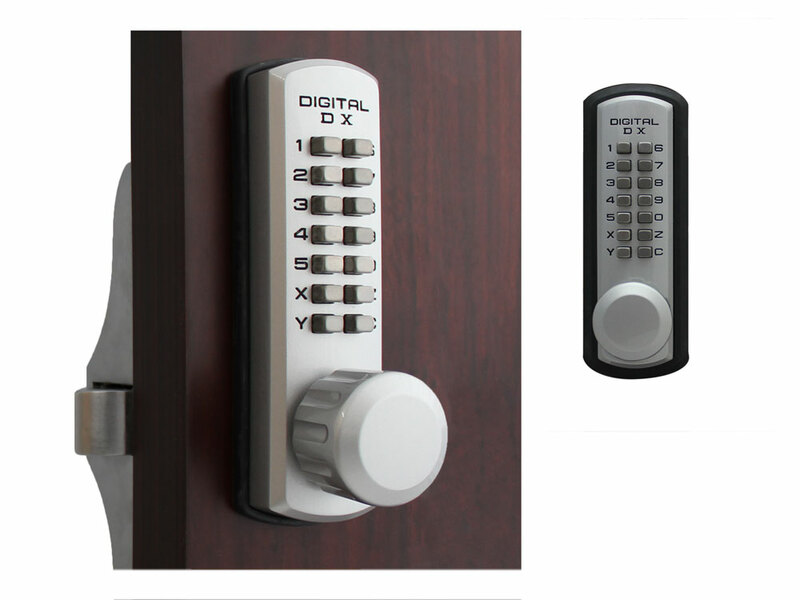 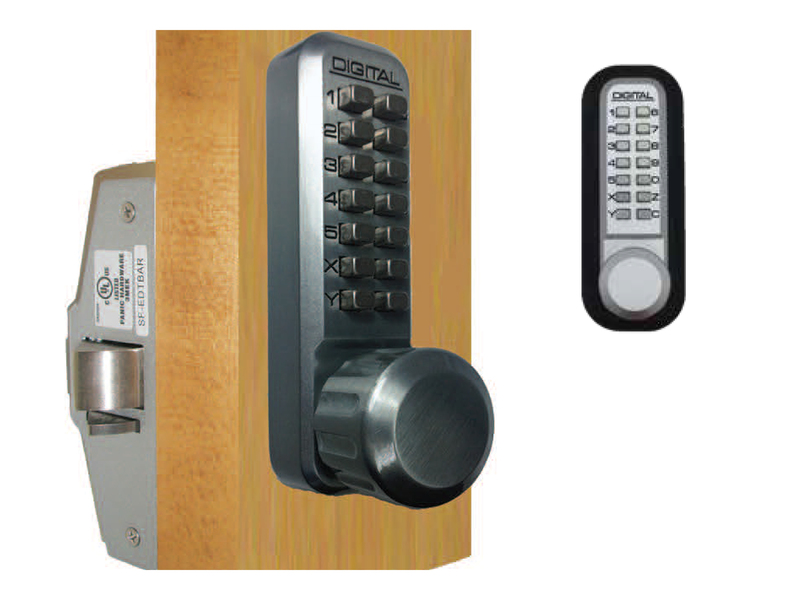 INSTALLATION: surface-mounted on door or gate. 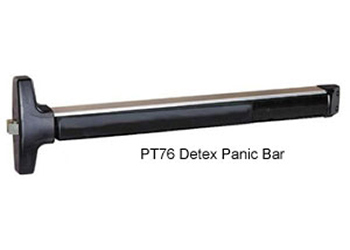 PANIC BAR HARDWARE: for gates that can be reached over or through. 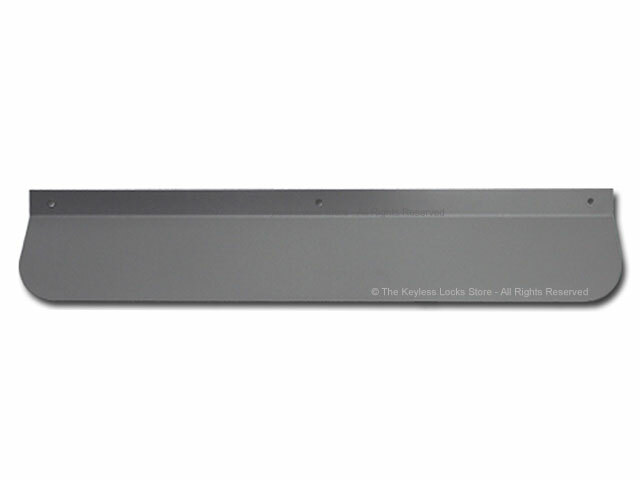 POWER: none, this product is mechanical. 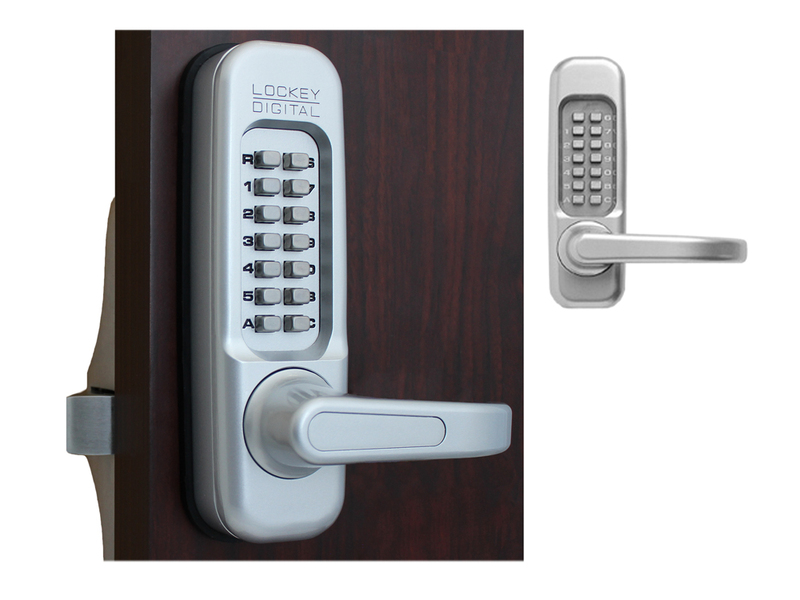 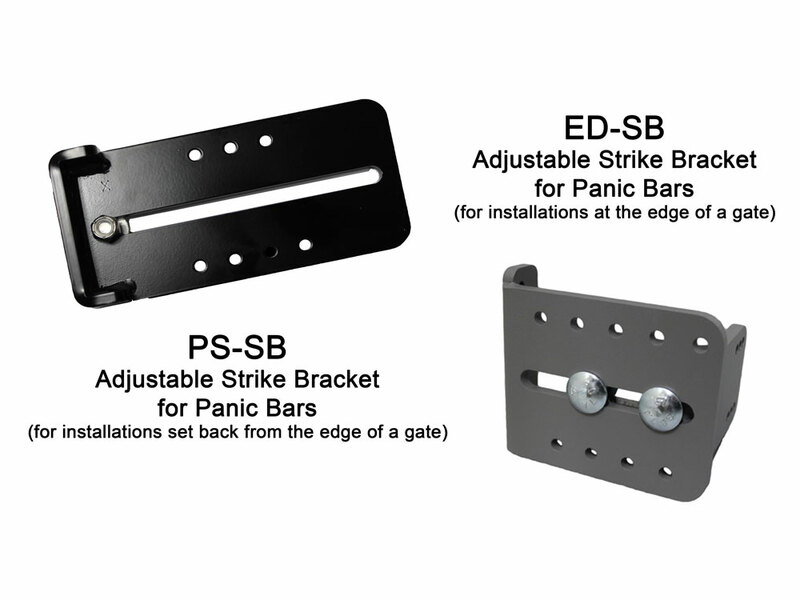 PRODUCT LINE: Lockey Panic Bar & Accessories; Lockey Parts. 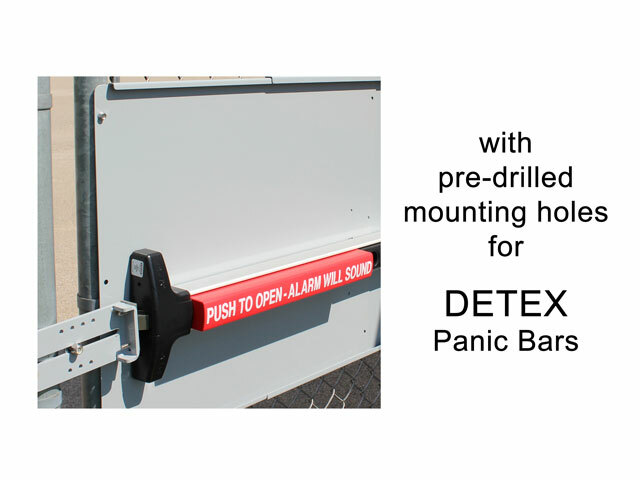 Turn your gate into a panic exit with one of these panic shields which prevent someone from reaching through the gate to release lock. 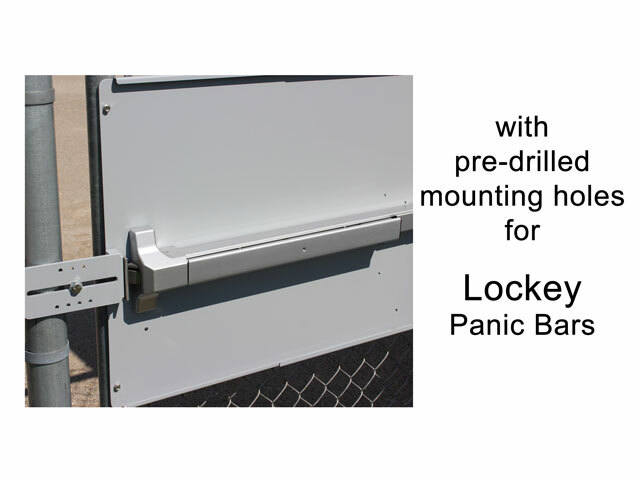 To install, first, mount panic shield onto your gate, then mount the panic bar onto the shield.